Windows DVD Maker is free software that comes pre-installed with Windows 7 and Windows Vista (Home, Professional, Ultimate, and other versions) systems. It allows you to make DVDs of your favorite TV programs, movies, photos or other media very easily and quickly. You can also show your creativity by customizing the DVD menu and text style before burning your DVD. However, the software does not work on Windows 10 and other OS versions and thus a Windows DVD Maker Windows 10 alternative is needed. If you're looking for an apt alternative to Microsoft DVD Maker, you've come to the right place. 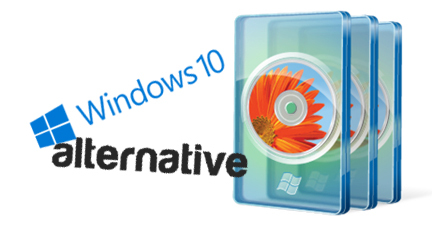 This article will show you the best alternative to Windows 10 DVD Maker for you to burn DVDs on Windows 10 with ease. In fact, there are many DVD burning tools on market that allow you to burn your videos into DVD discs. If you're confused about choosing a suitable one, I highly recommend you try EaseFab DVD Creator. It's an excellent software to use and a great alternative to Windows DVD Maker. In addition to almost all OS versions support, the Windows DVD Maker Windows 10 alternative proves to be better in many other aspects. The software supports almost all major and popular video, picture and other formats for DVD burning. You can burn your files to DVD discs in excellent quality output files. There are many menu templates to choose from. 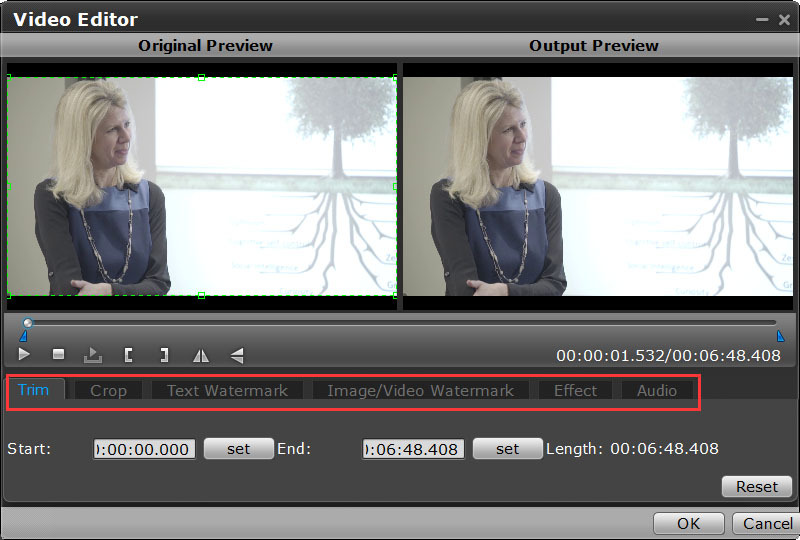 The built-in editor of the software enhances overall disc experience by trimming and cropping unwanted parts, adding images and watermarks, adding transition effects, rotating photos, and also adding background music. You can also adjust volume, set aspect ratio, and finally preview the created disc. Now just download the free trial of EaseFab DVD Creator and then follow the steps below to learn how to burn videos into DVD discs. Step 1: Open the program and load MP4 files. Firstly, download and install EaseFab DVD Creator on your PC. Launch the software and click "Add Files" button to search and add videos or pictures present on your PC. You can also simply drag and drop videos to the program. Please repeat the steps if you wish to add more files. 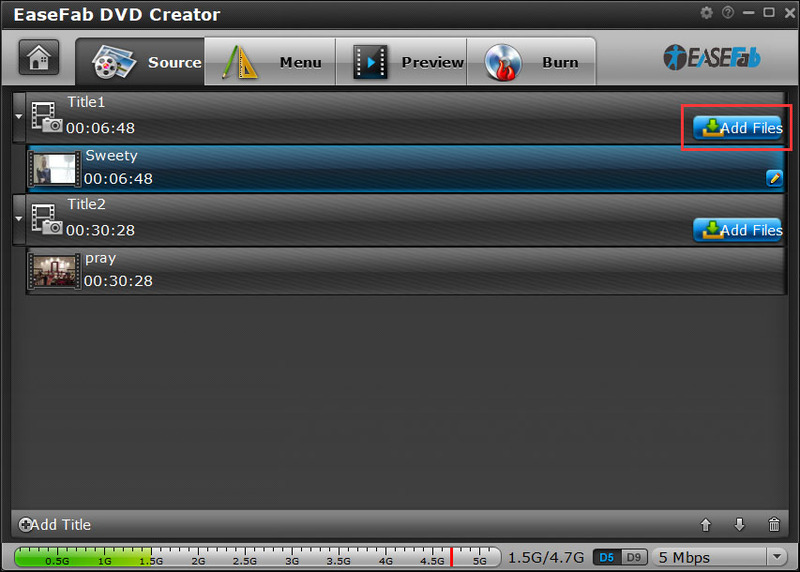 Step 3: Select DVD template and customize DVD settings before burning video to DVD. Step 5: Begin burning video files to DVD. When the process is finished, you can play it with your home DVD player and watch the video on TV. Yes, with a wide range of features like Trim, Crop, Add subtitles, Apply effects, etc. 150+ formats, all the popular video formats. It supports video input of which only comes from Microsoft itself, formats like WMV, ASF, MPG, etc. Yes, 100+ DVD templates available. Yes, 20+ animated menu templates and 10+ frame templates. Yes, allows creating photo slideshow with photo editing features. Yes, create photos with basic features.